Although they're now something of a modern, perennial favourite, leopard coats are looking extra good this autumn/winter 2016—better than we've seen in some time. 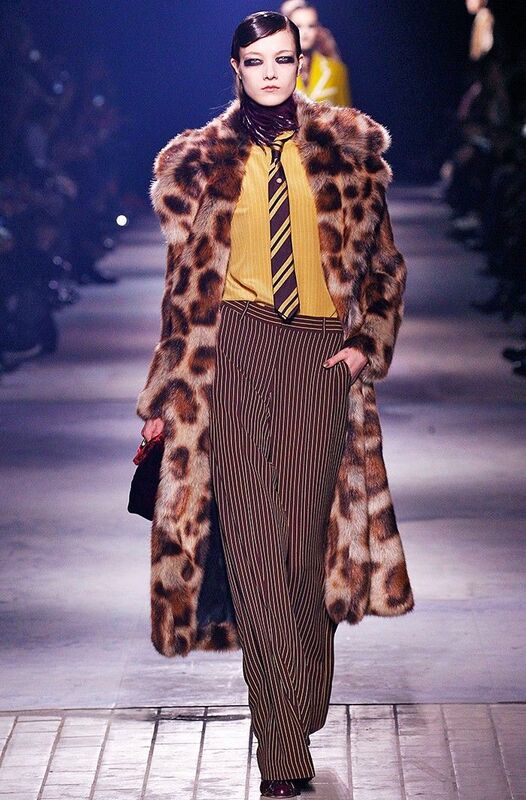 Big fashion cats stalked the runways of Givenchy, Saint Laurent, Dries Van Noten and Mary Katrantzou, to name but a few, and each specimen purrfectly different from the next—some wildly fluffy and textural; some sleek, lightweight and printed—but all of them shared something in common: We could so see the queen of leopard-print coats, Kate Moss, wearing the hell out of each and every one. The supermodel has a leopard coat collection to rival anyone's, and year upon year, without fail, another animalier piece of outerwear will reveal itself—but we hope she's got the storage space for a few more. From the chic Baum Und Pferdgarten style on every blogger's shopping list to Stella McCartney's (or, should we say Stella McCatney's?) patchworked faux-fur creations, the way to get into the new season is to hunt down your own catch. We're helping you out—scroll down to see leopard coats on the runways, streets and the best versions available in stores now. A leopard coat is the ultimate style upgrade for jeans and flats. Make yours even more seasonal with gigantic statement earrings. Go through the gallery below to shop the best leopard coats. The mid-level style everyone's after. A pink trim adds a feminine touch. Ticks off the dressing-gown trend too. Be a crazy cat lady. We'll also be adding brooches to ours. A future heirloom, for sure. Want more? Shop our pick of the 35 best winter coats around right now.